Emoticons are one of the staples of internet communication. Think about it: weren’t you marveled when you first started using smileys and winks to convey your meaning through text? Smileys and emoticons have been around for ages now, but strangely enough, Android has refused to adopt them outright and integrate them system-wide. There are some applications that offer standard Emoji support, like Hangouts, but the truth is that most of the time, you won’t find a way to input anything other than the text smileys that come with the stock Google Keyboard. Well, as it turns out, it doesn’t have to be that way, as I’ll show you in this lesson, where we’ll enable Emoji support on the stock Google Keyboard. First of all, we need to establish what we’re really talking about. Emojis are supposed to be cross-platform and work across operating systems and devices, however chances are if your friend using an iPhone sent you a text with an Emoji, you’d just see a blank square. Jellybean improved on this by allowing Emoji display support (thus, the Emoji actually appeared instead of a square), but actually using them is another story, and still not very easy. 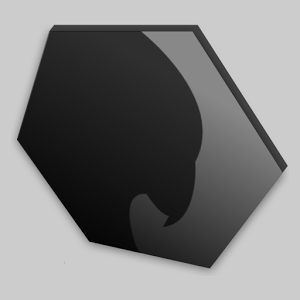 So, the objective is to add Emoji support to the standard keyboard, which is what we’ll use for this. In case you don’t have it, you should install the official Google Keyboard with gesture typing by clicking this link. 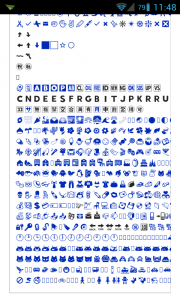 If you want to test if your device can display Emoji, you can click this Wikipedia link that shows a list of common Emojis. 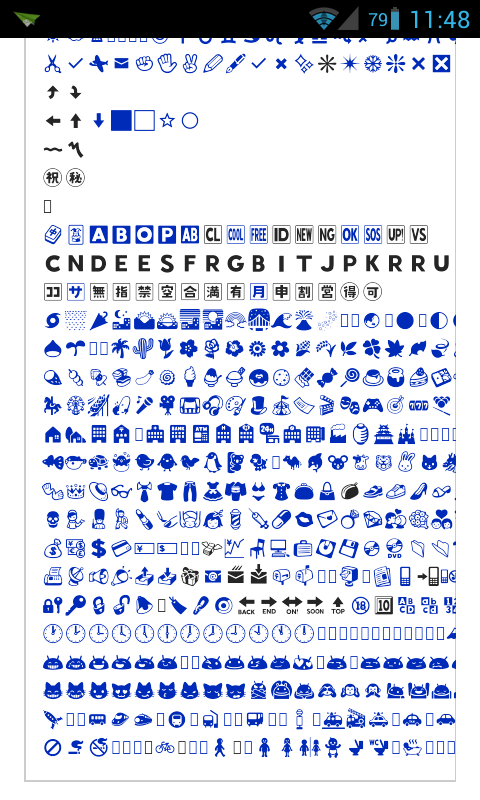 If you can see them, then your device has proper Emoji support. Now that you have the Google Keyboard, it’s time to enable writing Emoji. 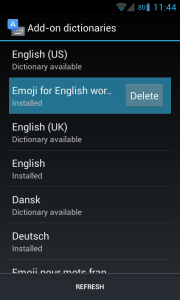 Doing this is simple: just navigate to Settings, then Language and Input, and then tap Android/Google Keyboard. This will take you to the keyboard settings screen, and from here you’ll see a bevvy of stuff to mess around with. However, what we’re looking for is “Add-on dictionaries”, so tap that. You should see a list of languages available for installing. 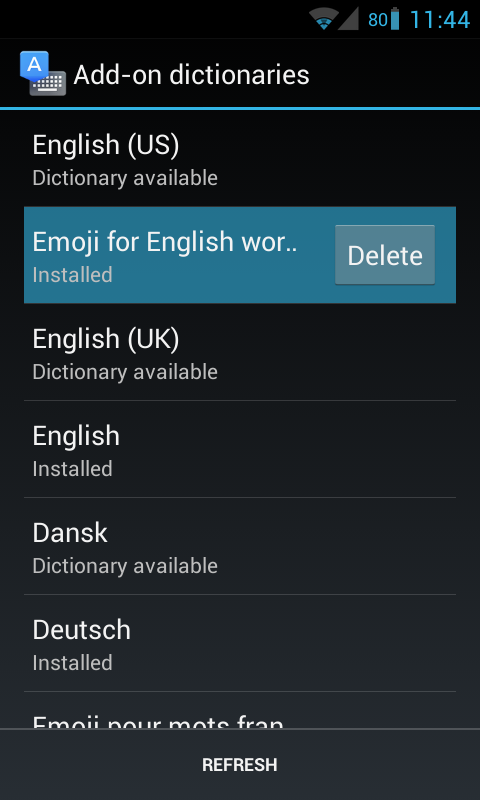 Of course, we’re looking for “Emoji for English words”, so tap that and then tap on the “Install” button that pops out. After installation is finished, you finally can start using Emojis with the standard keyboard! The way it works is different from apps like Hangouts or Whatsapp, as you don’t have a list of Emoji to use. Instead, the keyboard simply gives you Emoji predictions on the bar at the top every time it detects a keyword. For example, typing “smile”, “heart” or “snowman” causes the equivalent Emoji to pop up in the predictions bar, then all you have to do is tap it and it will appear on the text. It’s definitely more convoluted that other methods, but it’s the only way to get support system wide with the stock keyboard. You can see a list of known keywords by clicking this link, too. The alternative would be installing a custom keyboard, like Kii Keyboard or Handcent SMS, but those tend not to work as well, and of course mean you’d have to get used to a whole new keyboard. 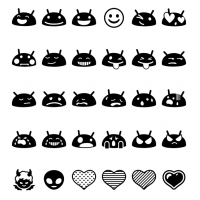 So yeah, this is the method I use to get Emoji support on Android, using the stock keyboard. It’s kind of a hassle that you can’t just use a standard list to got through them, but it’s the only solution that doesn’t involve me switching keyboards at the moment. Do you have a different method? I’d love to hear about it, please let me know in the comments and, as always, don’t hesitate to ask for help if necessary! Pitty some things that I type eg Pizza. Wont come up as a emoji, and it’s a pain trying to think of what I could use, and I used happy, sad, angry, cat, dog… And some worked and some didn’t work. Yeah, it’s a bit hit or miss at times, unfortunately. If you really need more robust emoji support, installing another keyboard with a emoji plugin will probably be the best way to go about it, but of course, that means ditching the stock keyboard. The only matter is that the item is not available in my country 🙁 maybe there’s another tip for samsung S4? I do really want to use emoji on my phone. And by the way the I do appreciate all ur Android tips? Thank u! Thank you for your kind words! There are now a wide variety of keyboard with native Emoji support. For example, take a look at this post on the Android L keyboard – it has a dedicated Emoji button and should work right away as long as you are on KitKat. 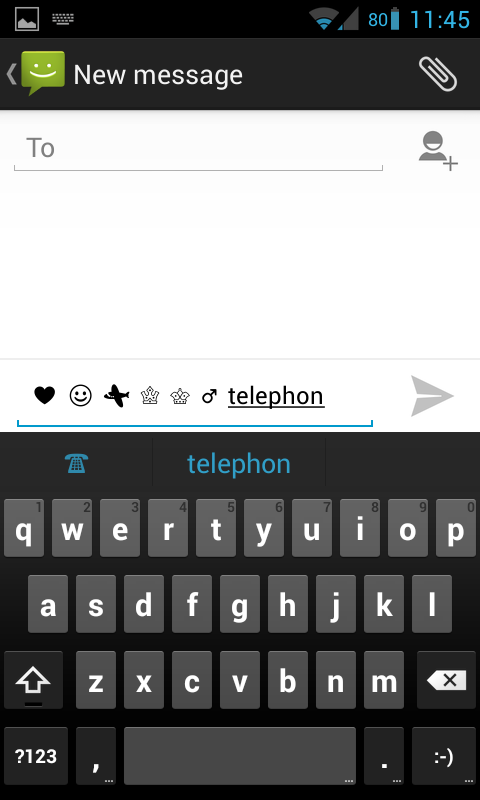 Another alternative is SwiftKey which should support Emoji on JellyBean (4.1) and above. You can get to the Emoji selection screen by holding the Enter button on that keyboard.